One of the most remarkable stretches in the history of the National Horseplayers Championship (NHC) Tour propelled longtime contest player David Gutfreund to five tournament victories in the second half of the year en route to earning 24,123 points to win the 2018 NHC Tour, which ended Saturday. Gutfreund earned $100,000, a 2020 NHC seat, a trophy, and the chance to play for an additional $6 million in bonuses at NHC 19, plus the $800,000 winner's share, Feb. 8-10, at Treasure Island Las Vegas. Gutfreund didn't play in another Tour event until Thanksgiving weekend at Hawthorne, with a confidence boost being his main goal rather than points. When he notched on-track win No. 3, some prodding from comrades and re-examination on his part convinced him that ending up atop the 2018 Tour Leaderboard wasn't such a far-fetched notion. Overall NHC Tour standings are determined by totaling a player's top seven scores from NHC-sanctioned qualifying contests, which must include at least one live, on-site event. Gutfreund earned 20,225 of his winning point total in the second half of the season. Following his November victory at Hawthorne, he won another on-track Tour event at Los Alamitos on Dec. 8 and grabbed another 3,891 points with yet another on-track triumph at Monmouth Park on Dec. 29. The top five finishers on the second-half year Tour LeaderBoard were: Gutfreund (14,516 points), Lam (13,205), Shurman (13,009), Joe Petit (12,966) and Alan Levitt (12,433). The top five won a berth into the Breeders' Cup Betting Challenge or $10,000. Keeping his focus at the same razor's edge it has been in recent months will be key to Gutfreund's NHC preparations. While besting a field of 650 takes a perfect storm of astute handicapping and good fortune, the momentum Gutfreund is taking with him to Las Vegas is something he is acutely mindful of. “I'm just incredibly grateful and incredibly excited. To steal a line from Dan Fogelberg, this is my chance of a lifetime in my lifetime of chance,” Gutfreund said. “I know it's a 650 person tournament. I know how difficult it is to win. But I've had two top 10s, I've had four top 20s. It's difficult but it's not impossible. And I'd love to be back there on day three just swinging for the fences and giving it a run. 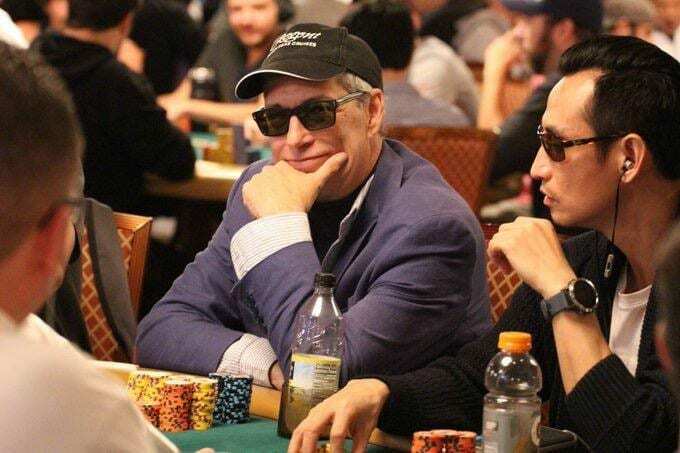 This entry was posted in Horseplayers, NL List and tagged David Gutfreund, Handicapping tournaments, horseplayer tournaments, horseplayers, national horseplayers championship, NHC, NHC Tour by Press Release. Bookmark the permalink.